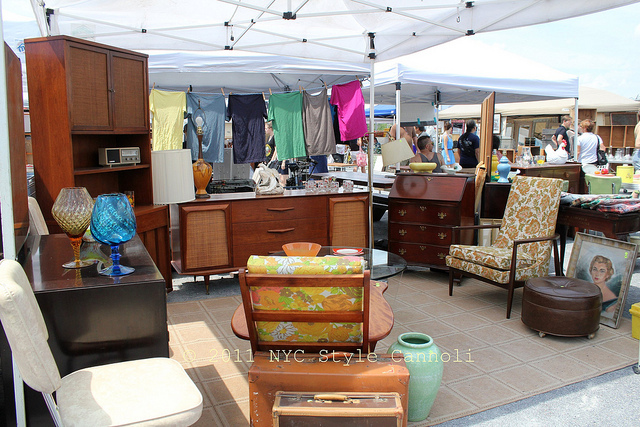 Photo Gallery Thursday "Mad Men at the Brooklyn Flea"
I finally visited the Brooklyn Flea and saw this great set up which reminded me of the show "Mad Men" ! The first thing I thought of when I saw it, so neat....I am sure that the show has increased sales of vintage clothing and furniture beyond control. Mad Men has been nominated for 19 emmys this year, if you do not watch the show, rent the DVD's.....it is pretty great stuff!! As of today, Mad Men is available for instant streaming on Netflix :) Wohooo!